Nationwide, graduate applications and enrollments continue to fall, but due to a fantastic return on investment and aggressive marketing, LER's enrollment has risen. In August, LER welcomed to campus 89 MHRIR students and one new PhD student. This year’s class is quite diverse, with 61 domestic students and 28 International students. Of the master's students, 70 are female and 19 are male, with psychology continuing to be the leading undergraduate degree (34 students). 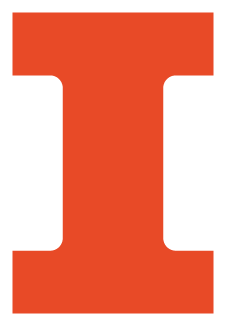 Over half of the class is new to the University of Illinois campus, as 49 students completed their undergraduate degrees from institutions across the world.LER is recognized for having a diverse student body, including 8% African American, 7.5% Hispanic/Latino, 9% Asian American, 34% International and 73% Female. Following graduation, our domestic students continue to enjoy success finding early-career opportunites with fantastic organizations. One hundred percent of domestic interns and 93% of domestic graduates found employment by the time of our report. For full-time entry-level hires, the average private sector salary was $76,607, and signing bonuses averaged $8,000. Interns averaged $5,386 per month. Full salary information is available at https://ler.illinois.edu/wp-content/uploads/2018/08/1718.LER_.Employers.Placement.pdf. Boeing, Honeywell, International Paper, and PepsiCo continue to hire large numbers of our graduates and interns. New companies to the recruiting process over the past semesters include Alcon, United Airlines and Zillow Group. AbbVie and Alcon also joined our ranks of corporate scholarship partners. If you know a great candidate for our campus program, please direct them to go.illinois.edu/HR for more information and to contact our staff. Our online program continues to grow as well.The fall cohort is comprised of 21 professionals. In addition to the five students who joined the online program in January, the new students average 7.95 years of professional experience at the time of enrollment. Students hail from across the lower 48 states and Canada, and the population features several veterans and employees of corporate partners such as Alcon, Lockheed Martin, and PepsiCo. Prospective online students are welcome to apply for both Spring and Summer 2019 admissions. For more information, visit go.illinois.edu/LERonline.